How To Enjoy Being Engaged. A lot of brides find themselves wishing their big day was just here already. Or they spend so much time fielding questions about their wedding and listening to other opinions on what they should do at their wedding, that they lose some of their excitement. So we came up with some ways for you to spend time enjoying being engaged. After all, it’s such a short time in comparison to the rest of your life. You really want to capitalize on the excitement and soak up every moment as a fiancé. 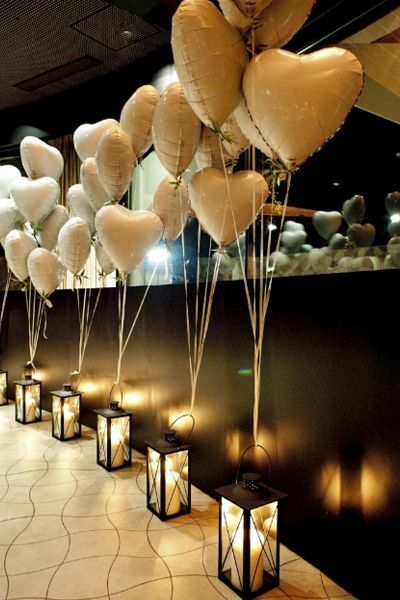 1) Throw an engagement party! Celebrate this huge step in your relationship with all your friends and family! It's not a hassle for anyone, people love a reason to celebrate and get together. Find some cute decorations and get to celebrating! 2) Take engagement photos! This is a super fun way to celebrate with just the two of you. You get to dress up and be all lovey dovey for the pictures! You can even make a date night out of it! If you choose to do them with your wedding photographer it gives you an extra chance to get to know them and their style before your wedding day. 3) Get some fiancé swag! The best part of being engaged? Showing off that new status. It’s the perfect excuse to buy a wifey in training t-shirt, bride water bottle, or new wifey-to-be mugs. Cause why not?! Both items are available from OUTW! 4) And remember! When it comes to wedding planning, the day is about your love for one another. Don't let the nitty, gritty details of planning take the joy of being engaged away from you! Are you recently engaged and starting to look for your dream dress? Look no further! We'd love for you to book your wedding gown experience today! Here’s what recent bride Stephanie said about her experience at OUTW. Industrial themed weddings have been very popular this year and will continue to be for the rest of the season. If you're into bare walls, rusty metals, and interesting light fixtures... this is the theme for you! With an industrial themed wedding you can get as creative with your guests spaces as you would like! We think that this new gown arriving to our store would be a perfect style for the industrial, chic theme! But regardless of trends, pick what works best for your style and what is the most attractive to you and your fiancé... Happy wedding planning! Inspiration Blog | Secret Garden Theme. Today on the blog, I wanted to share a Secret Garden Wedding Theme. And of course, we picked a gown from OUTW that we think would be perfect for this theme. The reason that I love the theme of Secret Garden is because I love the mix of whimsical and romantic. Like this cake table created by Selah Vie Weddings + Events. I love the mix of cupcakes, cakes and macaroons made by Bright Eyes Cake Design. Photography by Dylan Martin Photography. I love the soft hues of these colours together. 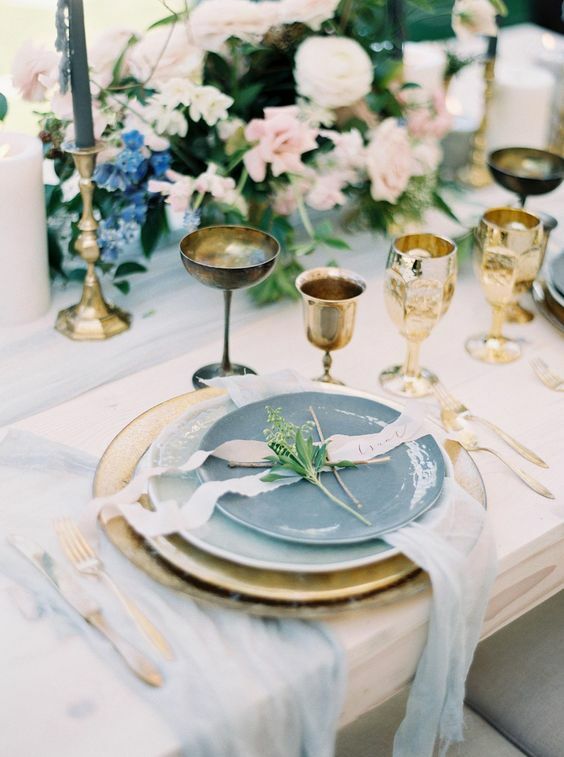 And I love the return of gold accents in wedding decor and wedding planning. Photograph from Pinterest. We love these centrepieces for a secret garden wedding theme. Simple, yet beautiful. As a big book reader, I love how they incorporated old books and how it gives a nod to classic, olden days. Photograph from Pinterest. These invitations from The Paper Bride, which are available at Once Upon A Time Weddings are the perfect addition to any garden wedding. I love the florals mixed with the navy colour. The Secret Garden Theme is the perfect theme for mix-matched bridesmaids. We love these colours together and they still give you lots of colour choices for florals + decor. We adore this gown which will arrive to OUTW in August. We cannot wait for brides to try it on. We love the lace details and how it has a touch of lace underneath the tulle skirt. We think it's the perfect combination of whimsical and romantic, just like the Secret Garden theme. Still searching for your perfect gown? Book your Bridal Experience today, right here.